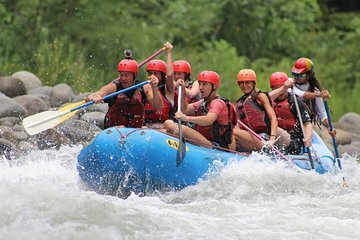 Unleash your inner daredevil as you tackle the hair-raising rapids of the Sarapiqui River on this full-day tour from either San Jose or La Fortuna. Hurtle downstream over class II and III rapids like the ‘Roller Coaster’ and ‘Superman’; marvel over the dramatic scenery of the Sarapiqui canyon, then cool off with a swim. After 2.5-hours of adrenaline-fuelled fun, tuck into lunch by the riverside, before heading back to the city.